Attrition: Regeneration is greatly impaired. Defeating enemies may create wells of Light. Riptide (PL 280) – Titan, Moon of Saturn. Without power, Zavala’s resistance has hit a wall. Travel deeper into the Arcology and help them past it. Utopia (PL 280) – Titan, Moon of Saturn. Venture deep into the heart of the Hive to retrieve a powerful Golden Age CPU—and make it out alive. Ace in the Hole (PL 500) – Titan, Moon of Saturn. 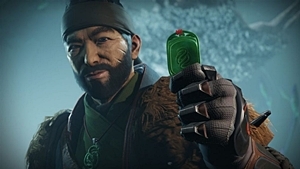 Track down Cayde’s personal stash so you can repair the Ace of Spades. Cliffhanger: Asher has information about the Vex’s next conversion site, and he wants it stopped. Recovery Mod: Grants increased recovery. Targeting Adjuster: This weapon gains better target acquisition.